KCPS will reopen Lincoln Middle, adding more seats at the elite Lincoln College Preparatory Academy. Kansas City Public Schools will reopen Lincoln Middle to relieve overcrowding at the adjacent high school and offer a rigorous college preparatory program to more students. “Just like any other competitive superintendent, I don’t want to lose on my first big decision, so I’m extremely happy about the board approving our recommendation to reopen Lincoln Middle School,” Superintendent Mark Bedell, now in his second year with the district, said after the board of directors approved his administration’s plan to reopen Lincoln Middle for the 2019-20 school year. Lincoln Middle was one of 21 KCPS schools that closed in 2010, with sixth, seventh and eighth graders moving into the high school building across 22nd Street. The combined 6-12 school, Lincoln College Preparatory Academy, consistently tops U.S. News & World Report’s list of best schools. Students must test into Lincoln and earn good grades to stay there. 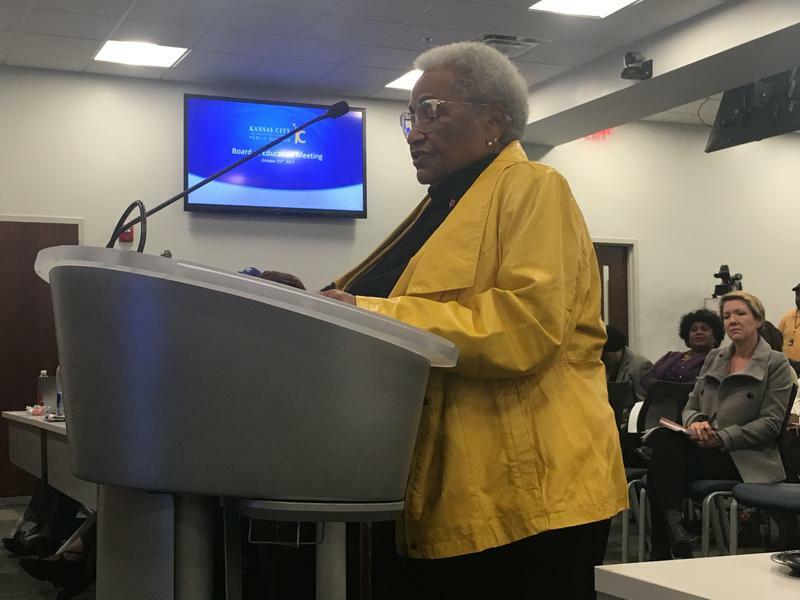 Jennifer Wolfsie, who along with Amy Hartsfield voted against the plan, expressed concern that reopening Lincoln Middle would delay exploration of opening a middle school south of Brush Creek, as called for in the district’s master plan. She noted that the district is losing families that don’t see a clear path from elementary to middle to high school without testing into Lincoln. Bedell replied that there was a way to open two middle schools simultaneously – pass a bond referendum. “I do believe there’s going to be a point where we’re going to have to go to this community for support to allow us to take care of some of the needed capital projects,” the superintendent said. KCPS has not asked Kansas City voters to approve a bond referendum since 1966 or a levy since 1969, when the district was four times the size it is now. The district estimates it will cost $18.8 million to reopen Lincoln Middle, a figure that includes facilities upgrades and one-time staffing costs. Bedell has called for an additional $2.2 million investment in the district’s two open enrollment middle schools, Central and Northeast. The Kansas City Public Schools Board of Directors appears poised to reopen Lincoln Middle School, relieving overcrowding at the elite Lincoln College Preparatory Academy and reversing an unpopular decision made during rightsizing. Kansas City Public Schools is considering reopening Lincoln Middle School in an ongoing effort to attract families back to the district. The middle school closed in 2010, but as Lincoln College Preparatory Academy consistently tops U.S. News and World Report’s list of best high schools, it has become a destination for middle-class families whose kids attended West Side charters for elementary school.